Over the past 25 years Century 21 Yorke Peninsula has specialised in the selling of real estate in the Moonta, Moonta Bay and Port Hughes areas. 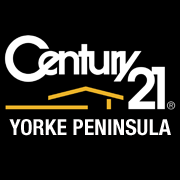 Century 21 Yorke Peninsula has been a well respected Real Estate agency that has proven the test of time, through the quiet and busy periods. Greg Smith Owner /Principal of Century 21 owns and operates the business with his wife Wendy and has consistently been placed in the top 2% of agents within the Century 21 Network. Greg has had a very stable staff with Meagan Blanden who has been selling and working with Greg for 18 years. If you would like a professional approach with experienced staff to the very serious business of selling your most precious asset or would like a free no obligation appraisal or are looking at buying property call our office first for the very best service in town. We also offer a professional Rental department. Our office is Open 7 days a week to cater for all Rental and Sale enquires.